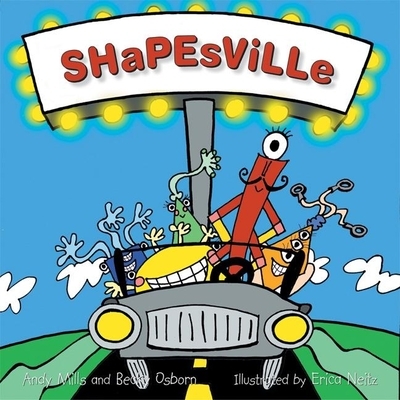 Parents love reading Shapesville to their young children to promote simple words like colors and shapes and to provide more mature concepts like positive body image, self esteem, self acceptance, diversity, and appreciating unique talent. Teachers use it in elementary classrooms, and can be confident in its positive messages. Developed by university educators, Shapesville has proven to be successful in promoting positive body image and serving as a protective factor for eating disorders, as verified by published studies in such journals as: Contemporary Pediatrics, The Archives of General Psychiatry, Eating Disorders: The Journal of Treatment and Prevention, and the European Eating Disorders Review. Shapesville dance programs have been developed by university researchers in Maryland and Arizona. Remarkably, the three co-authors are recent graduates from small Kenyon College in Gambier, OH, where they wrote Shapesville as an independent study project. Finding a publisher for their book defied millions to one odds! Andy Mills and Becky Osborn received their B.A. degrees in Psychology, and Erica Neitz, the illustator, graduated with a B.A. in Art. All of them will be actively marketing the book.